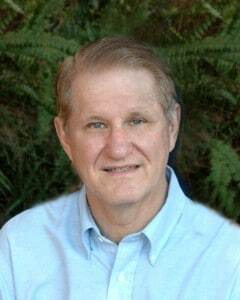 SAN DIEGO--Robert L. Martin, PhD, whose lively, down-to-earth articles have been informing, encouraging, and entertaining hearing care professionals for nearly a quarter-century, has joined HearingHealthMatters.org. Starting today (November 28), Bob Martin will be writing a bi-weekly post on theHearing Health blog, where he will be co-editor with Judy Huch, AuD. From 1989 through this year, Dr. Martin’s Nuts & Bolts column ran in The Hearing Journal (HJ), a hearing industry trade journal. In annual surveys, his monthly feature invariably ranked at or near the top in popularity among readers—audiologists and traditional dispensers alike. Williams & Wilkins even published a paperback collection of the Best of Nuts & Bolts, which proved highly successful. Starting with this week’s post entitled “Hearing Aids Need Love,” Dr. Martin’s first series for Hearing Health will be addressed to hard-of-hearing consumers. However, practitioners will also find what he says helpful in talking about hearing aids and related topics with their patients. For more about Dr. Martin, see his profile at Hearing Health.